Audio transfers include a professional quality transfer to the media of your choice – CD (included), hard drive (customer provides), thumb drive (customer provides) or cloud. Each CD transfer includes a 100-year scratch-resistant disk, printed label and a case. 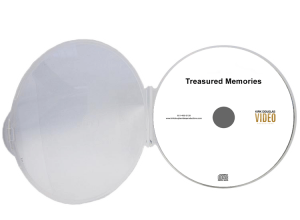 Transferred formats include audio CD, .mp3 or .wav files.  Pricing is based on 72 minute recordings, which is what will fit onto a disc. If your recordings exceed 72 minutes, then each 72 minute segment is considered as a transfer. If you have shorter recordings, those recording may be combined, up to 72 minutes, when you identify the order or sequence of the segments. Audio Transfer – Jeff 5 Stars! Kirk has handled numerous projects for me over the years. Kirk is careful, attentive to detail, and super talented. Kirk could not be a more kind and caring person to work with. Whether the project is transferring video, shooting footage, copying technology, or making my business look good….Kirk has always come through for us. Thanks for your excellence Kirk!